It’s not the holidays in my house until there’s a perpetual tin of Chex Mix. I make so many batches a year I’ve not only memorized the recipe, I’ve perfected the technique. I follow the classic recipe on the back of the box. 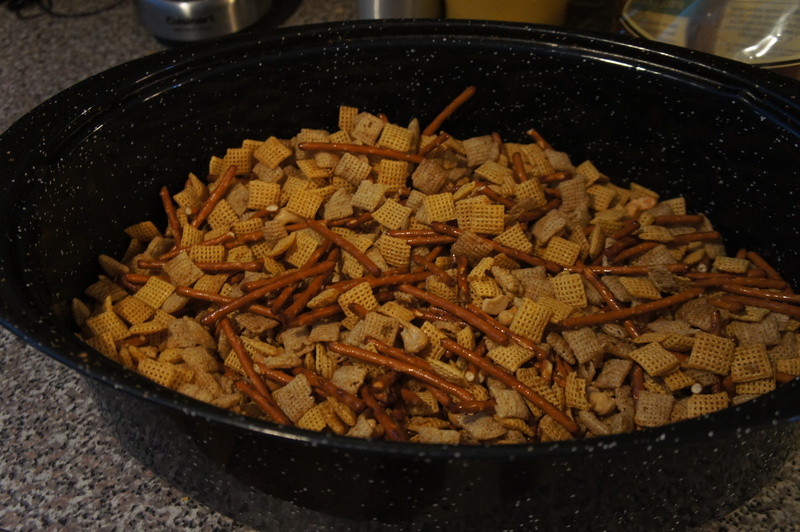 If you’ve never made the Chex Party Mix before, whip up a batch! 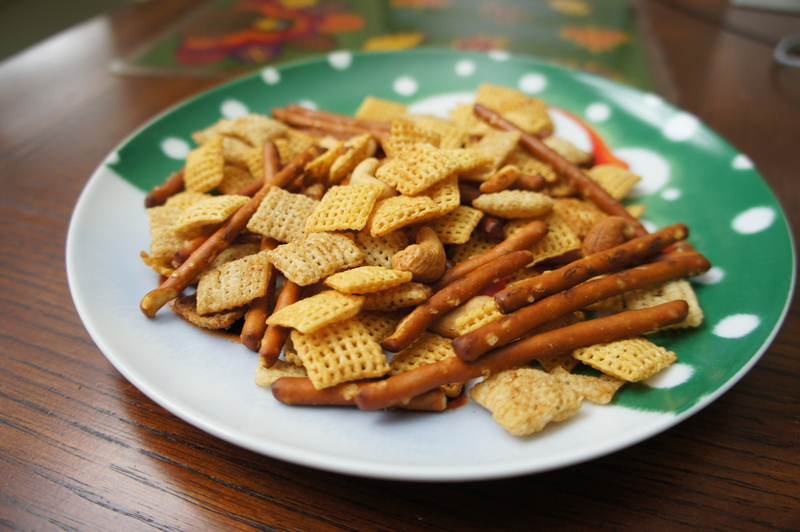 I don’t enjoy normal Chex Mix varieties but the combination of their seasonings in this recipe makes a great snack to munch on while watching Home Alone, Love Actually, or another classic Christmas film. It also gives me an excuse to buy Chex for another delicious treat (puppy chow!!!). Preheat oven to 250 degrees. Stir together butter, Worcestershire, seasoned salt, garlic powder, and onion powder. Pour into the bottom of a roasting pan. 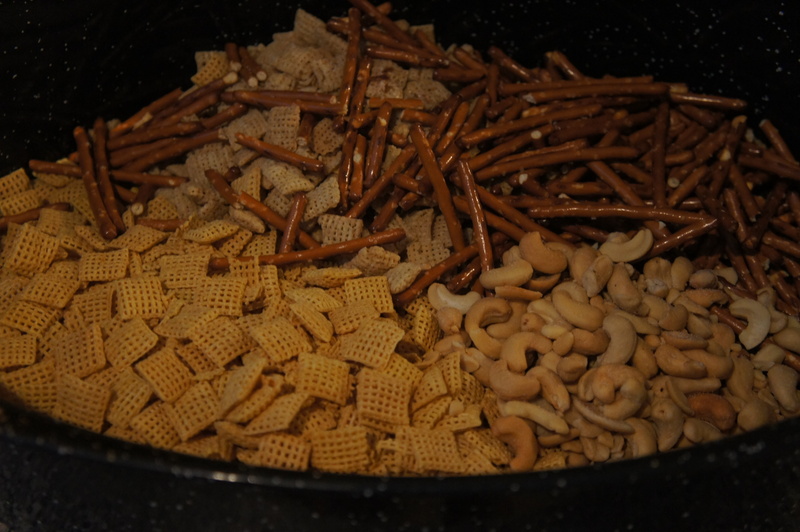 Add Chex, pretzels, and cashews to roasting pan. 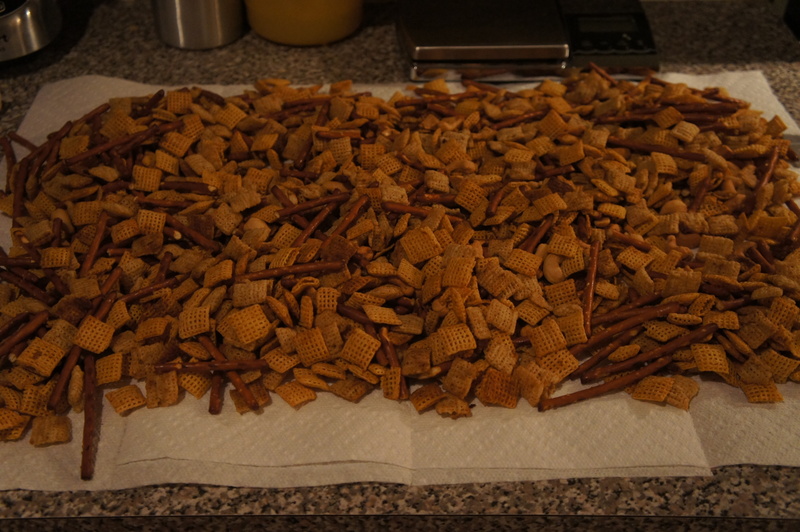 Stir gently with your hands until the seasoning evenly coats the Chex and the mix is evenly distributed. Bake for 1 hour, stirring gently every 15 minutes. Let cool on paper towels. Serve.